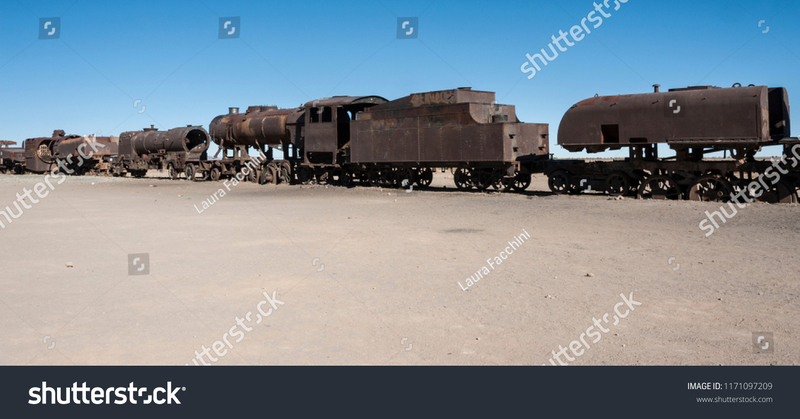 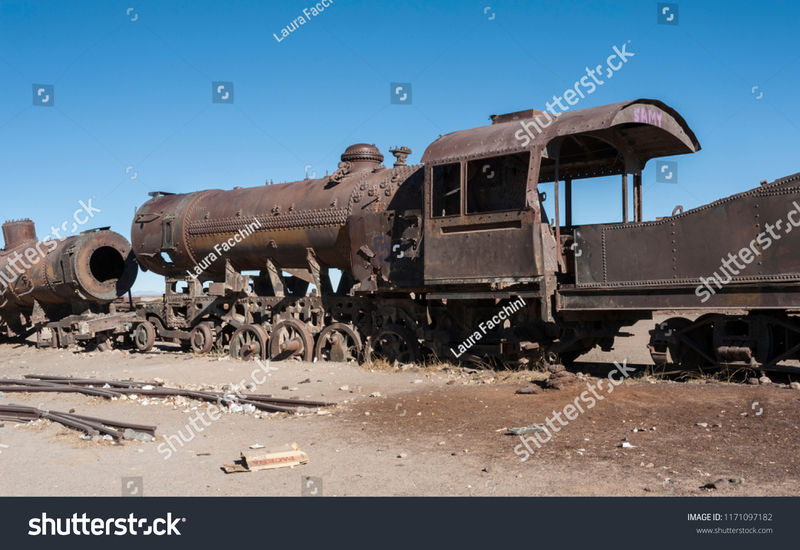 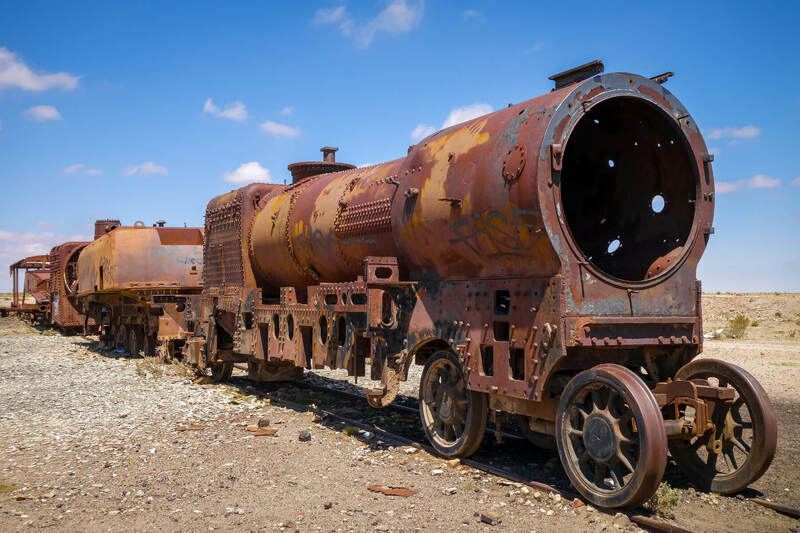 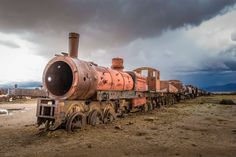 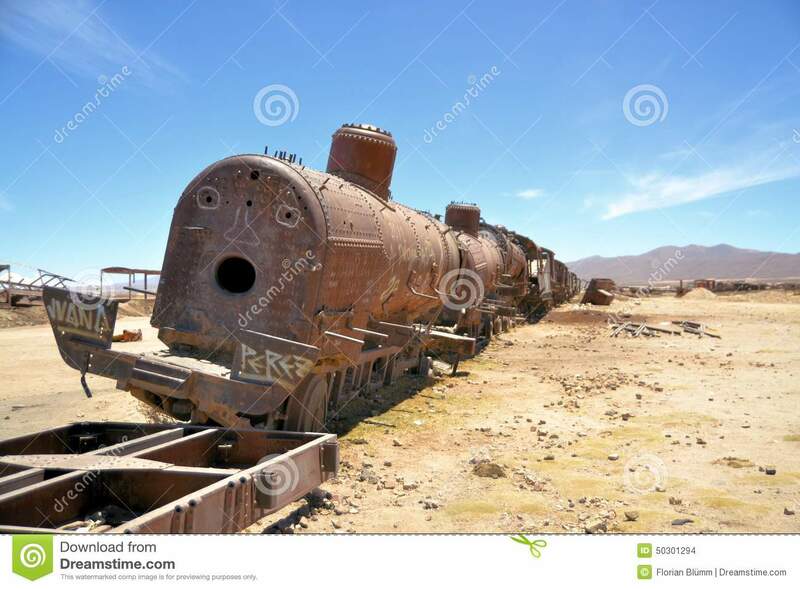 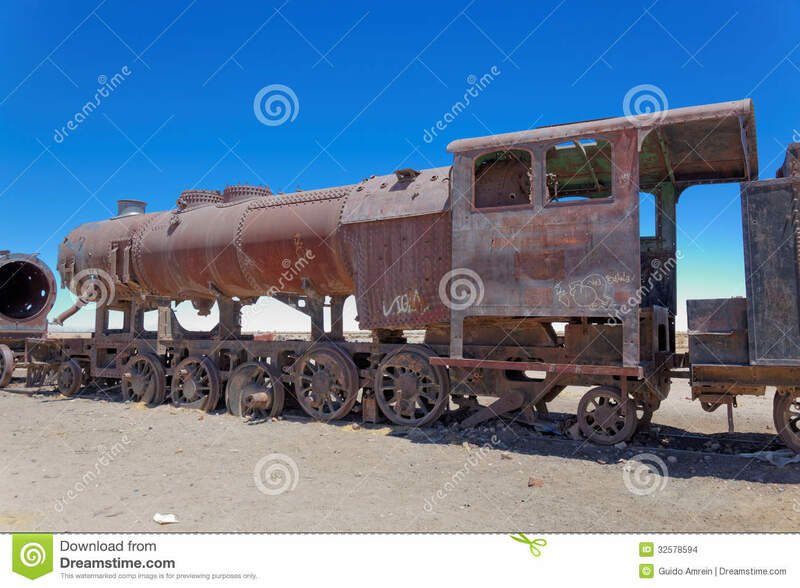 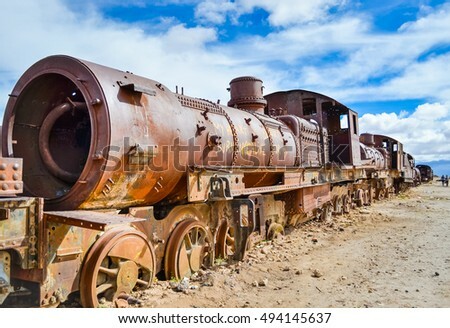 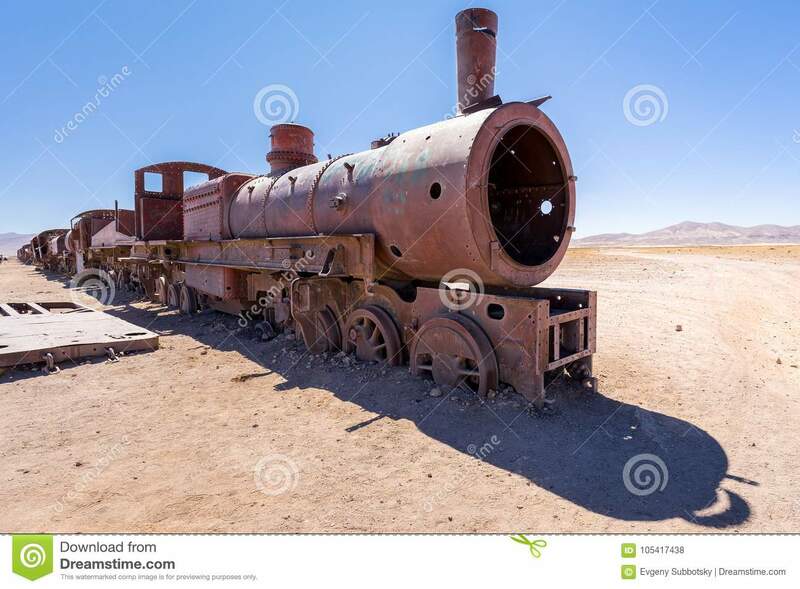 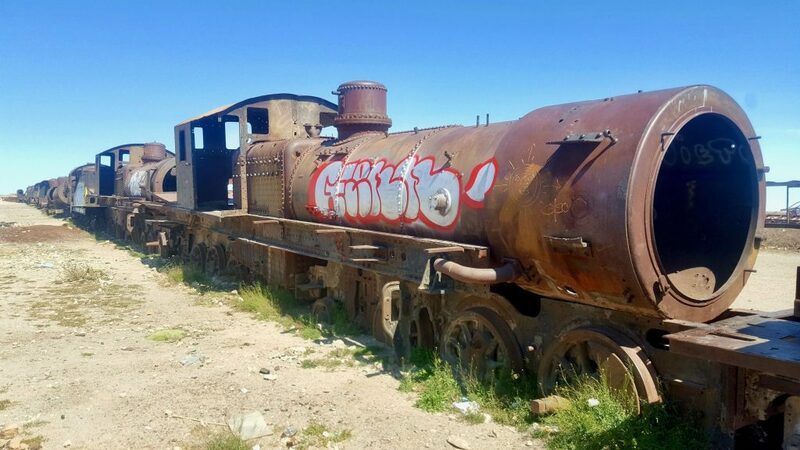 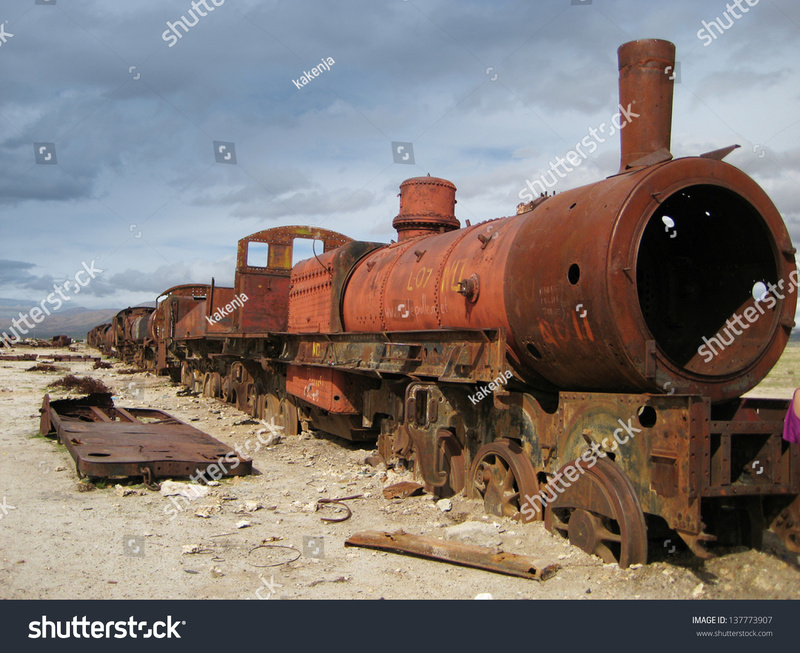 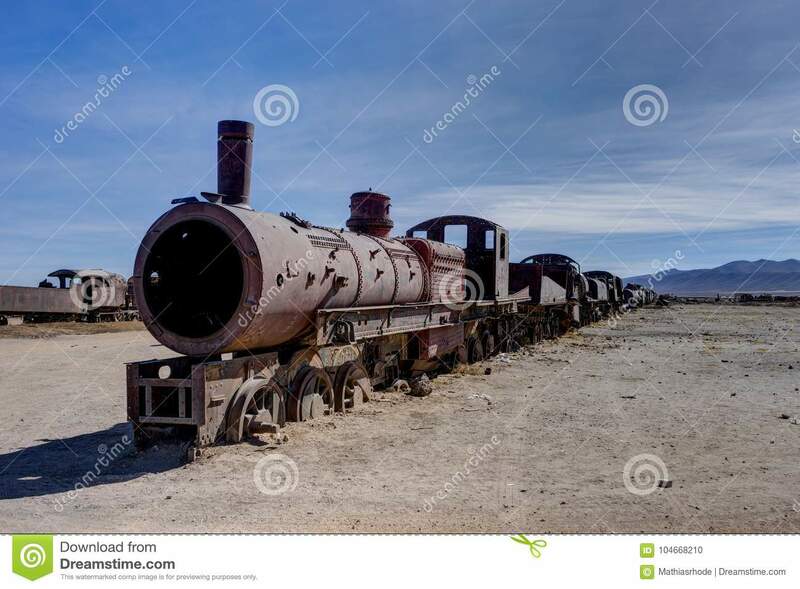 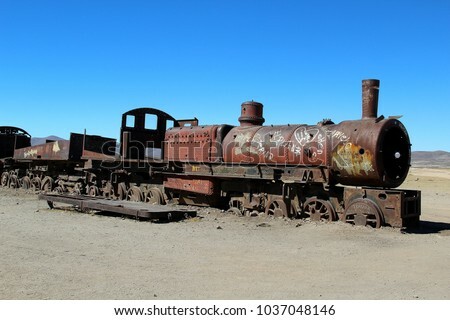 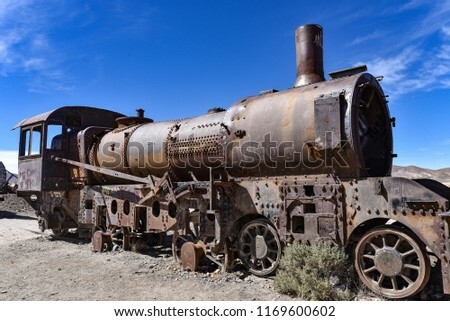 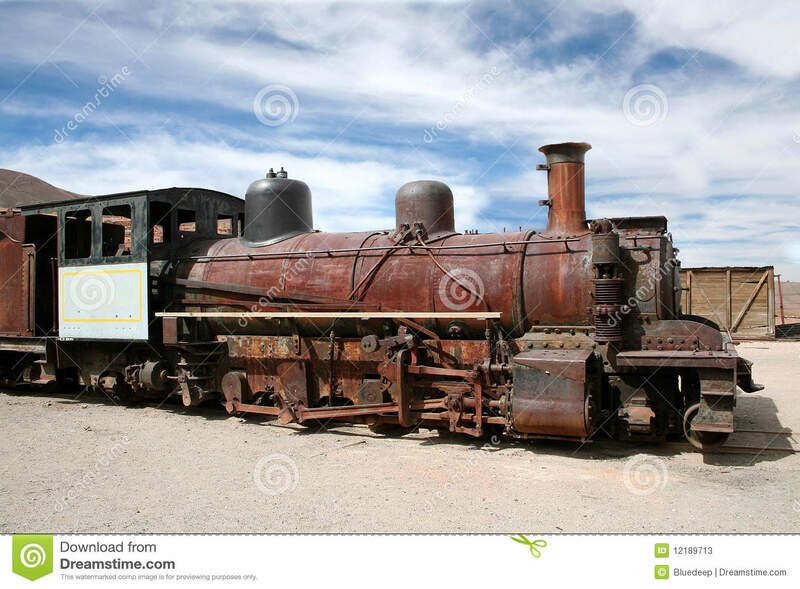 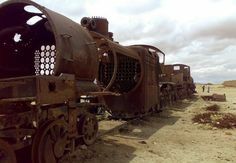 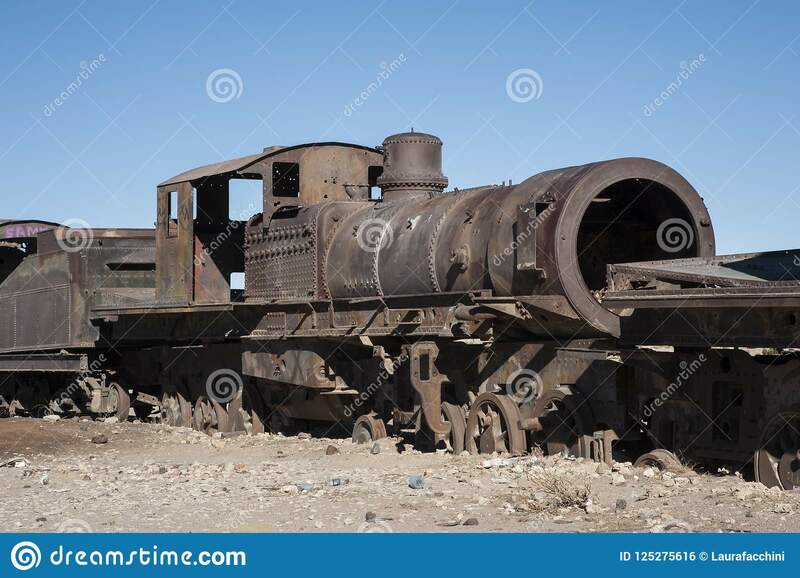 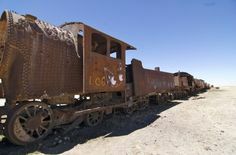 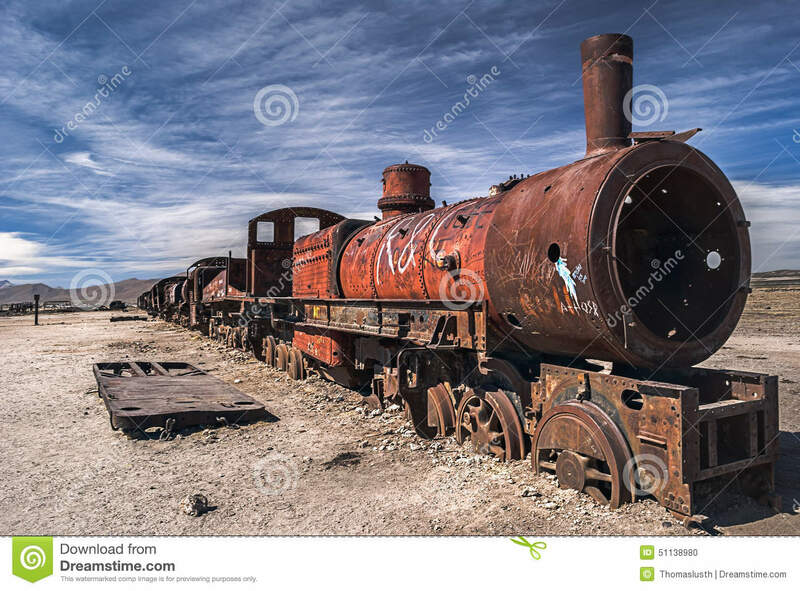 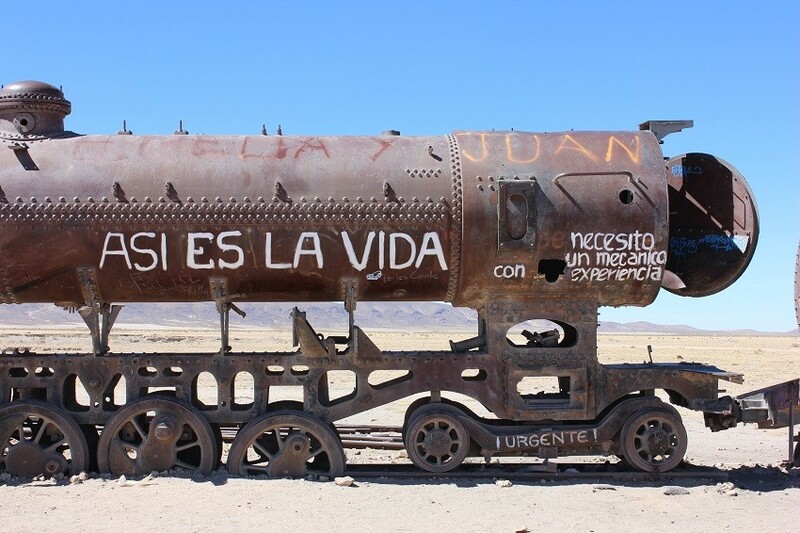 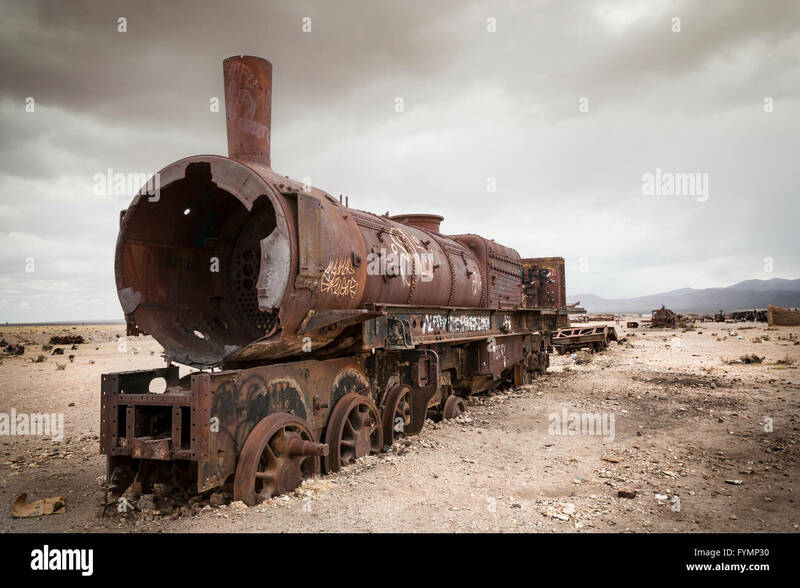 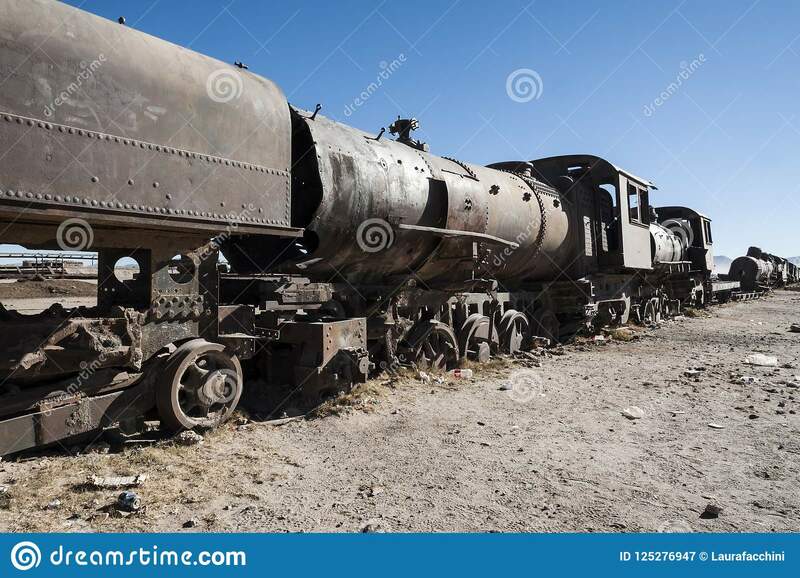 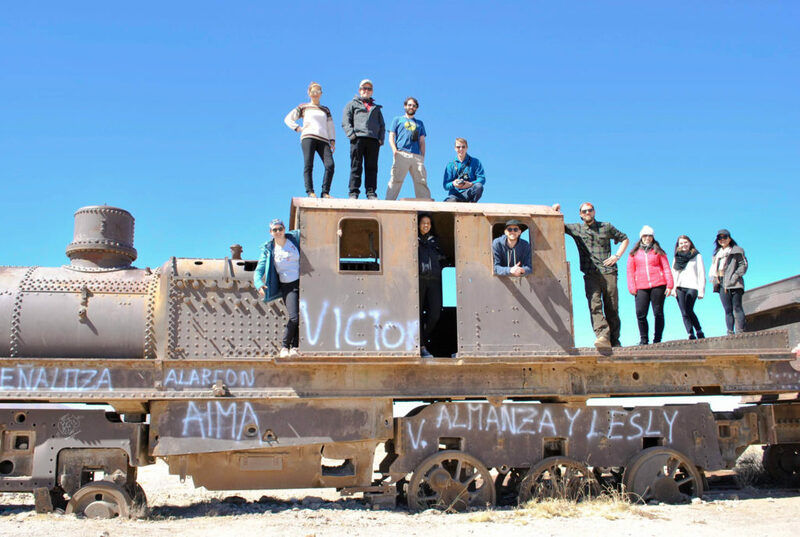 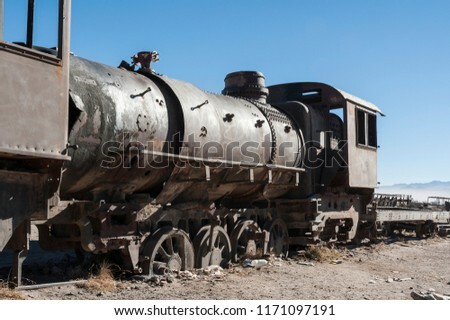 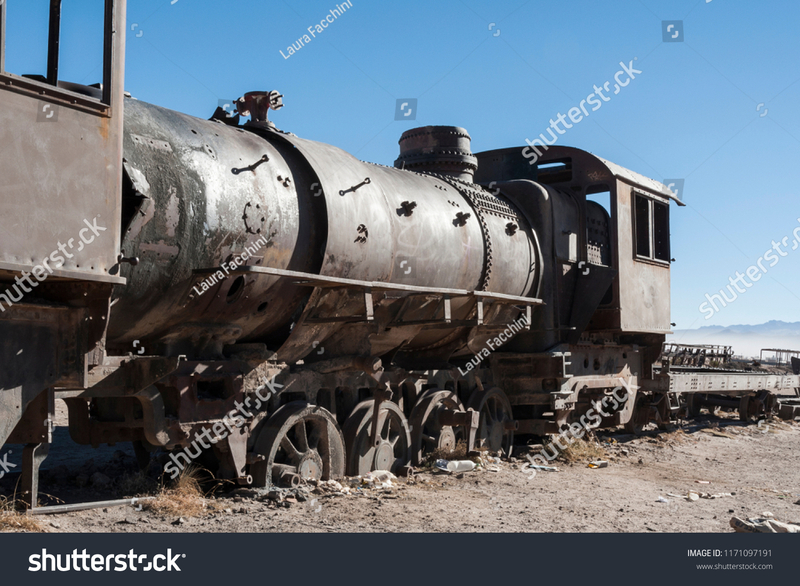 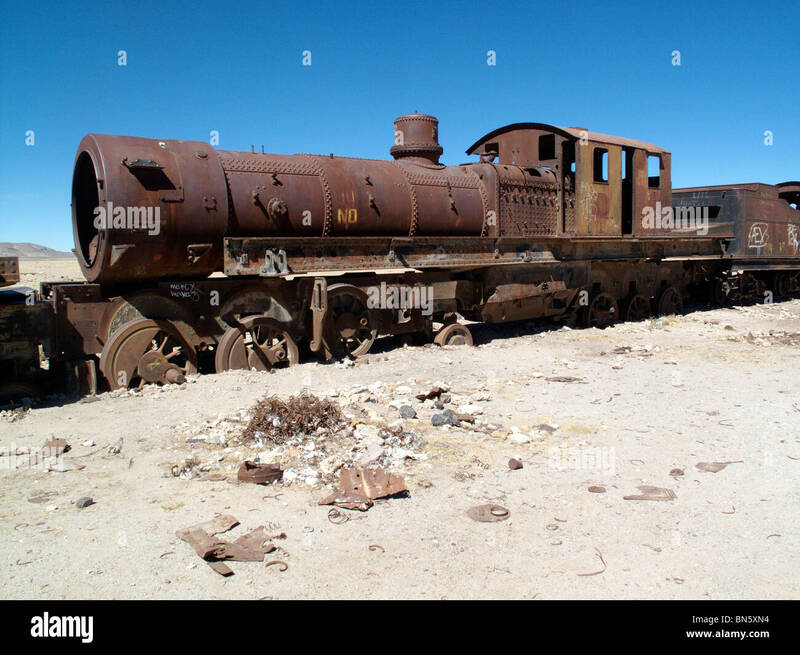 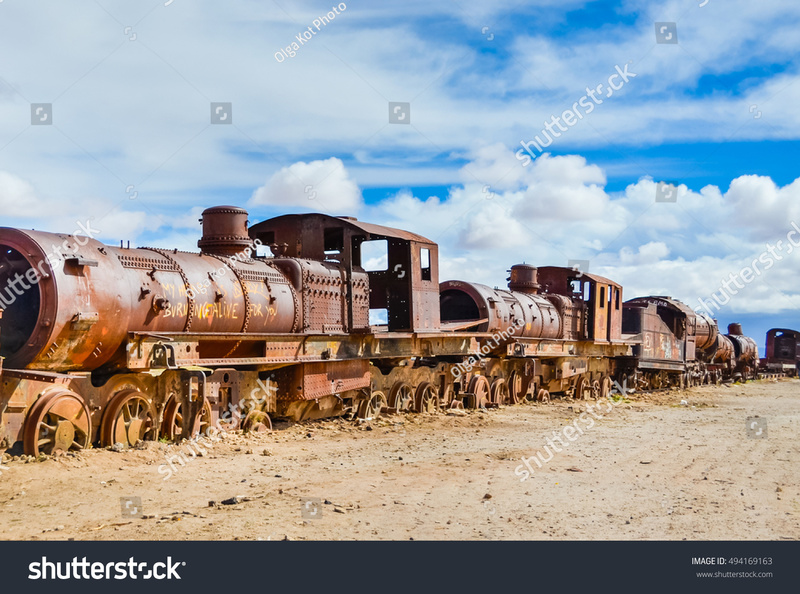 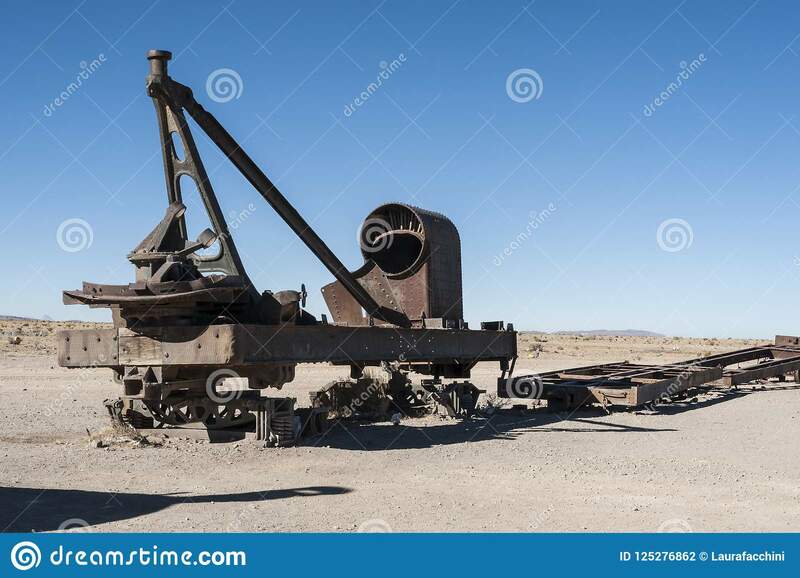 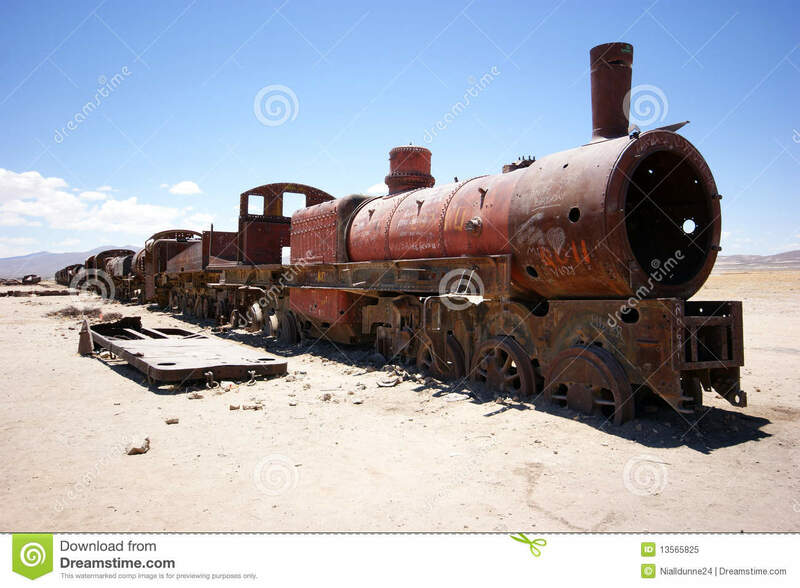 Photo taken in August 2017 in Uyuni Bolivia, South America: Rusty Train in Cemetery Uyuni. 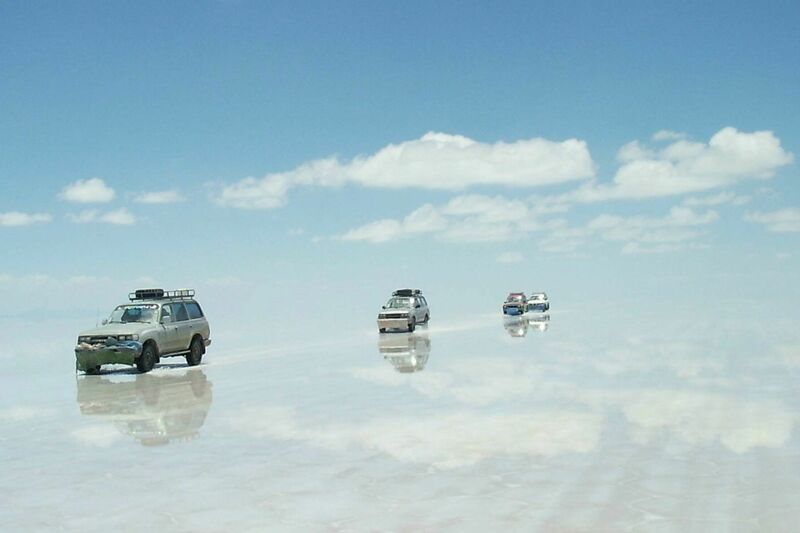 Bolivia's Salar de Uyuni looks like something from a fever dream. 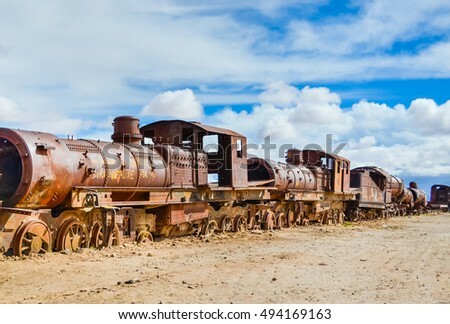 It includes a train graveyard. 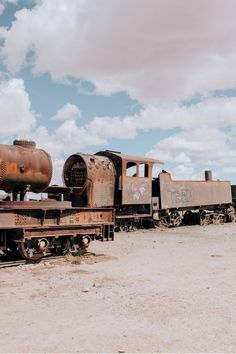 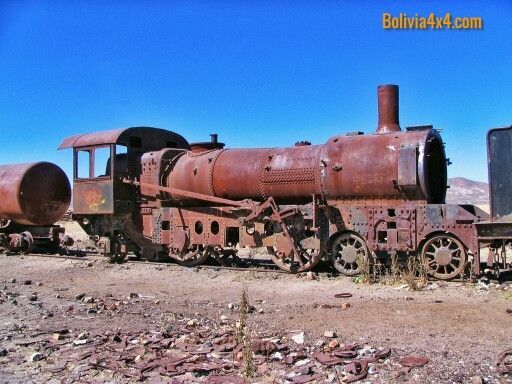 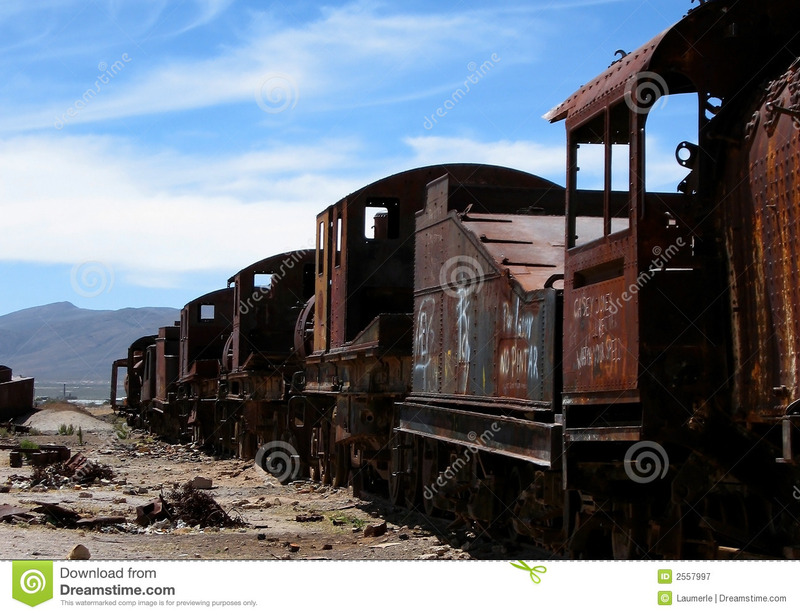 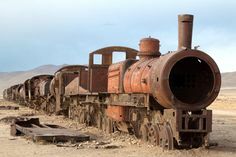 Old train locomotive rusty railway carriages, Bolivia trains cemetery tourist destination Salar De Uyuni. 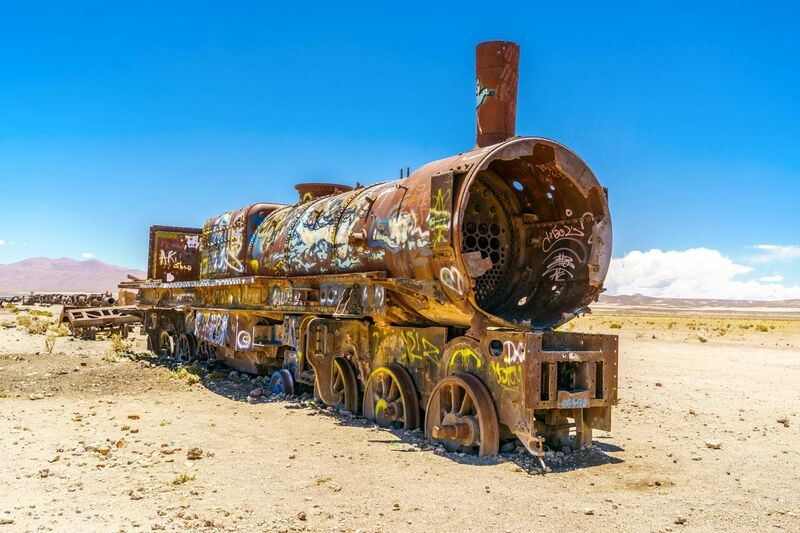 Abandoned train locomotive, Uyuni, Bolivia. 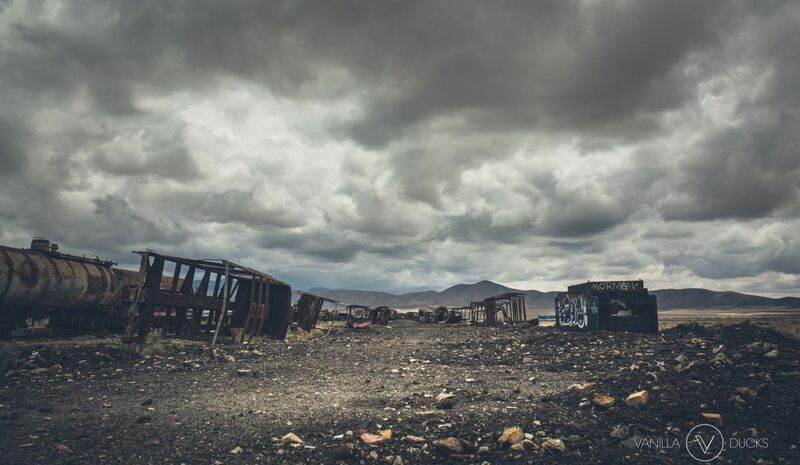 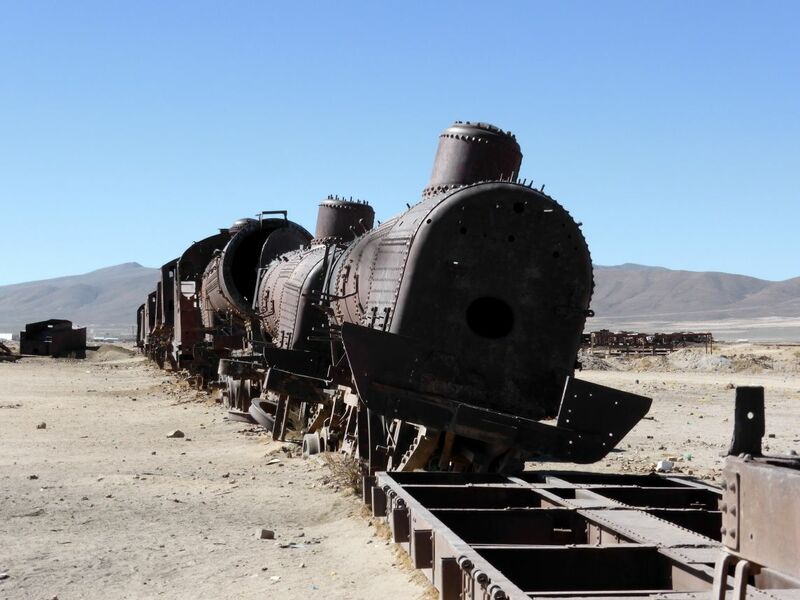 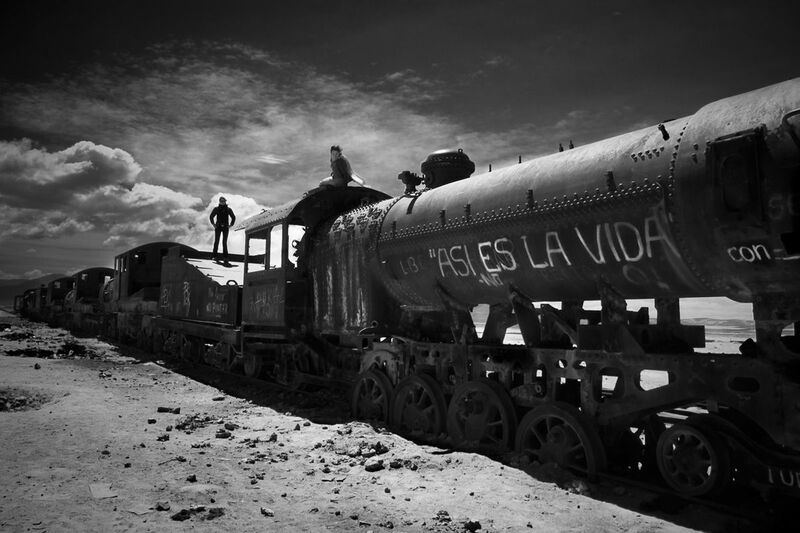 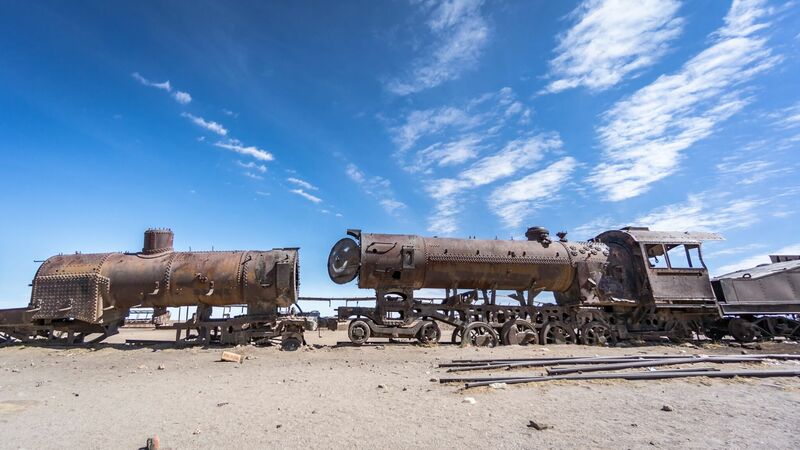 This is the train cemetery in Uyuni, Bolivia. 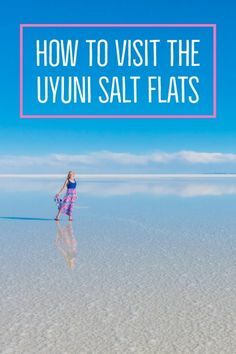 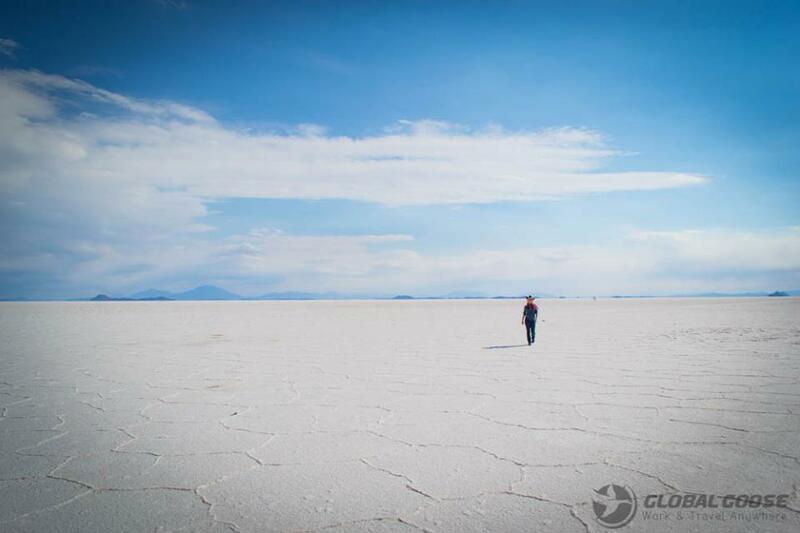 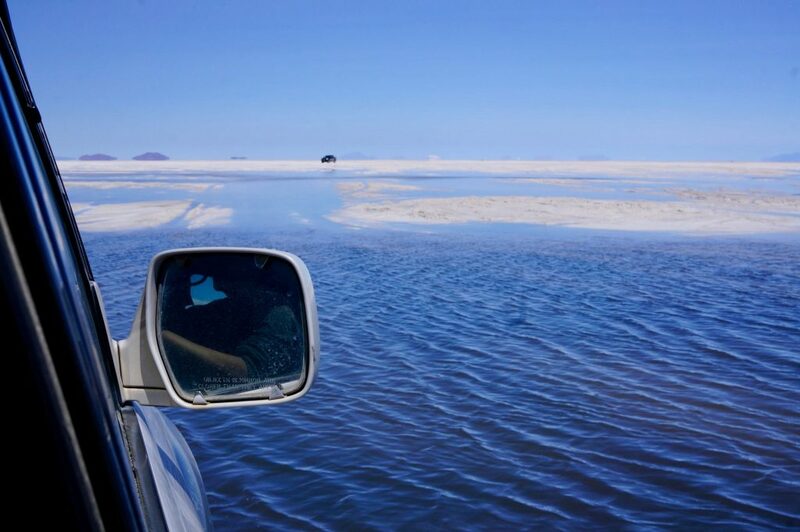 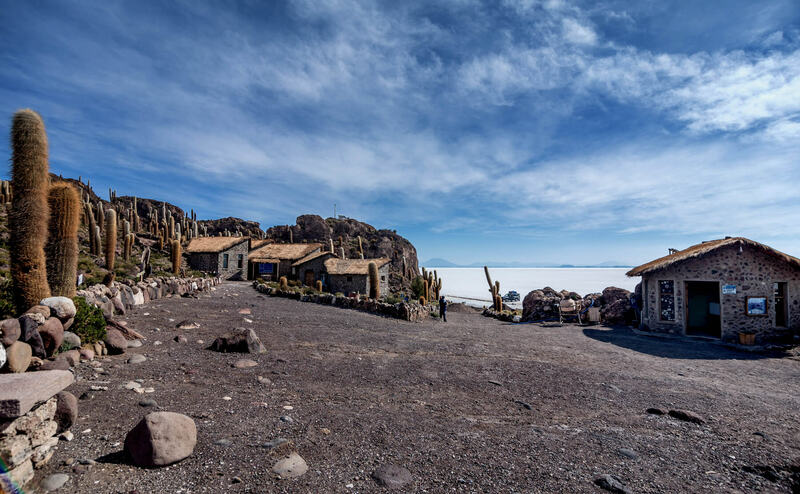 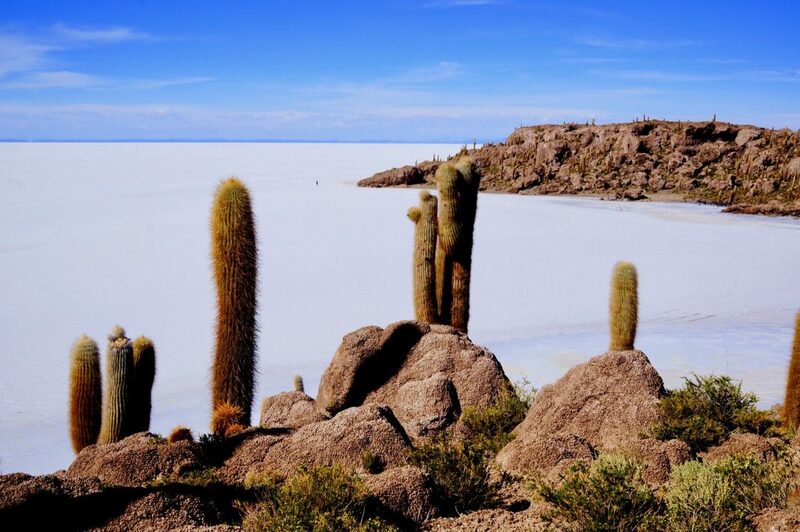 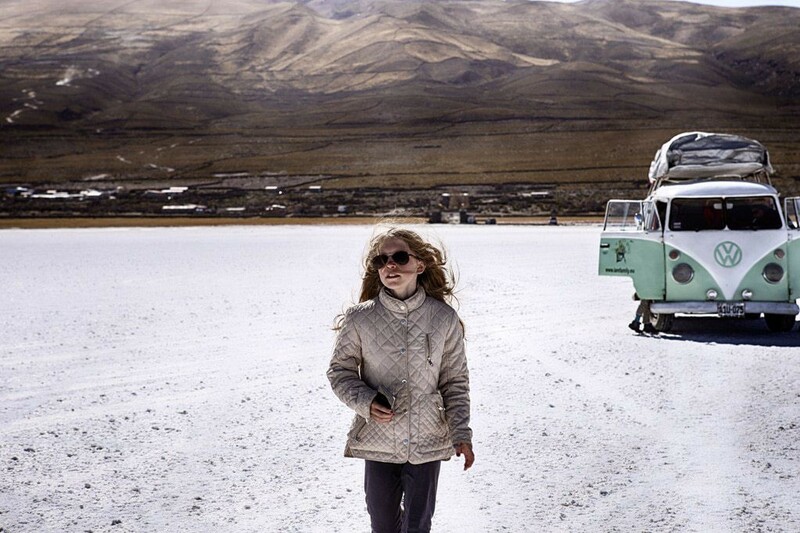 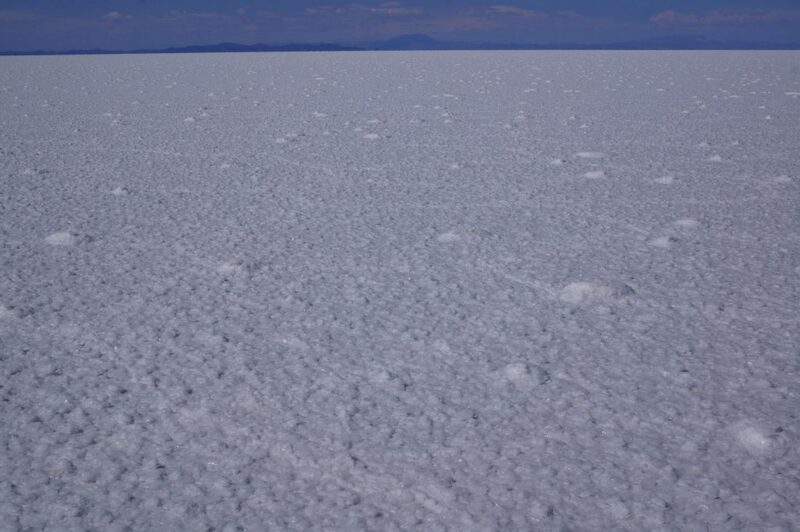 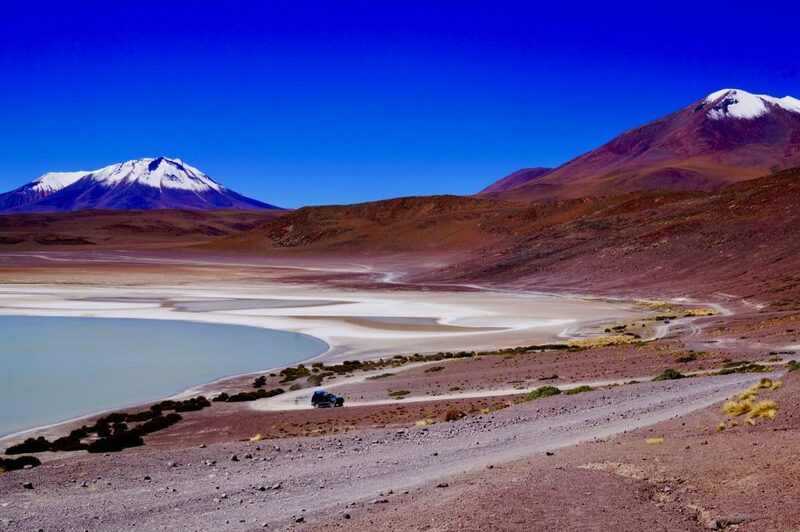 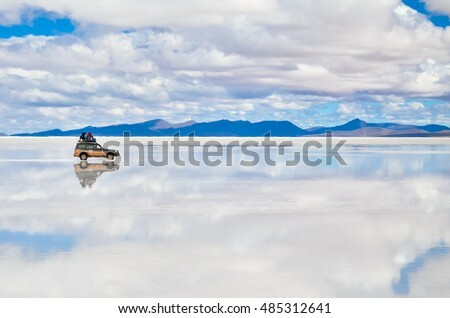 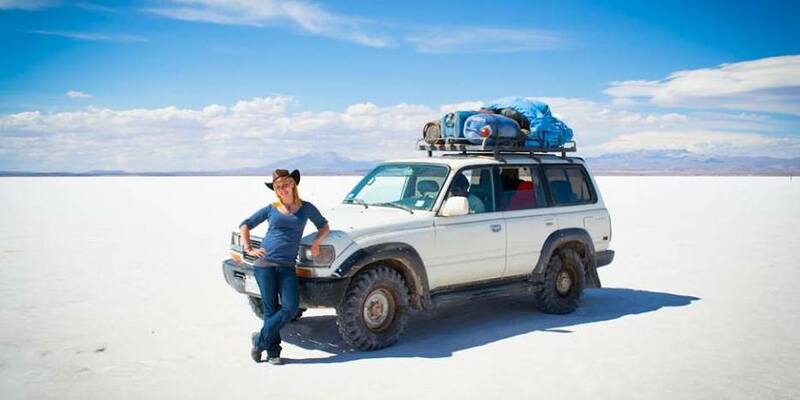 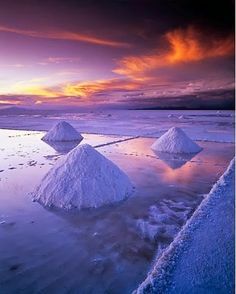 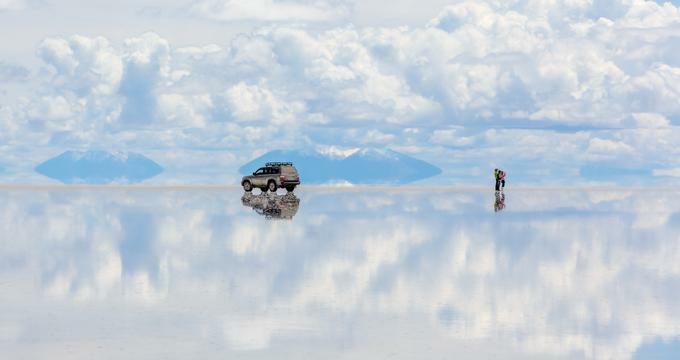 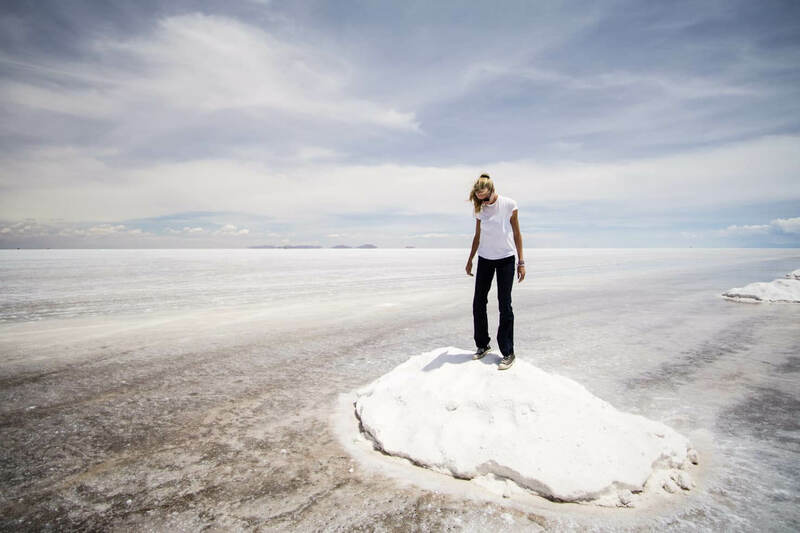 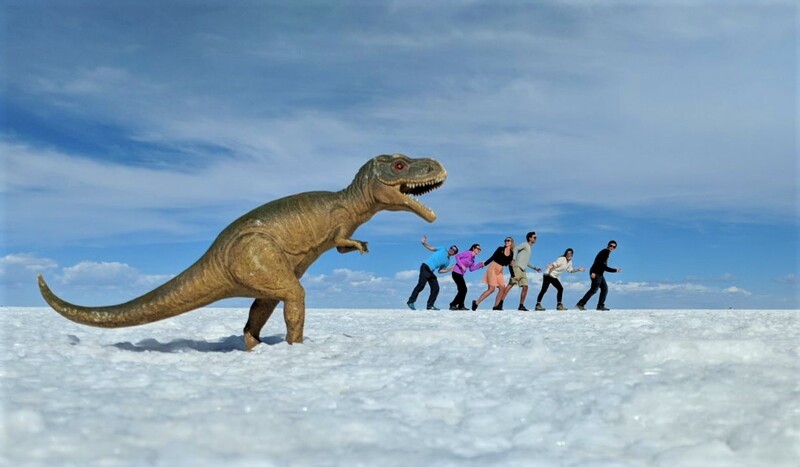 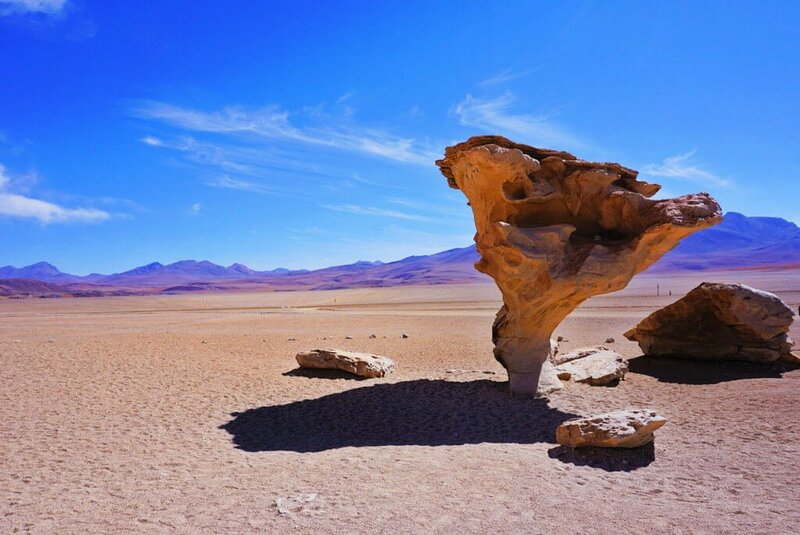 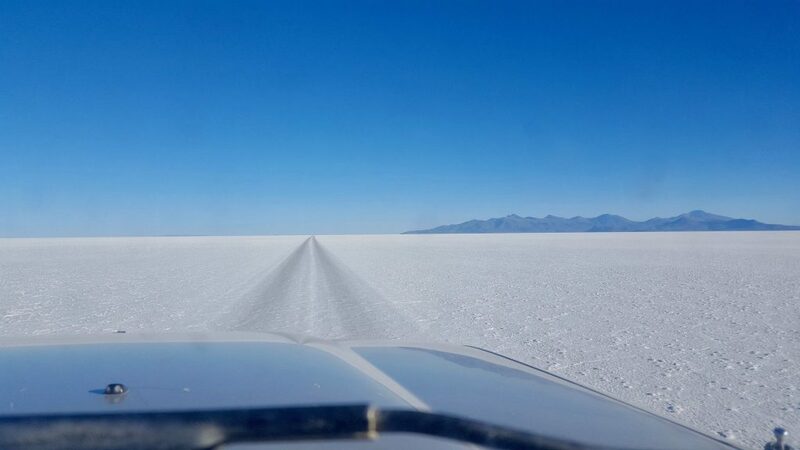 It is the first stop on a tour to the salt flats (Salar de Uyuni). 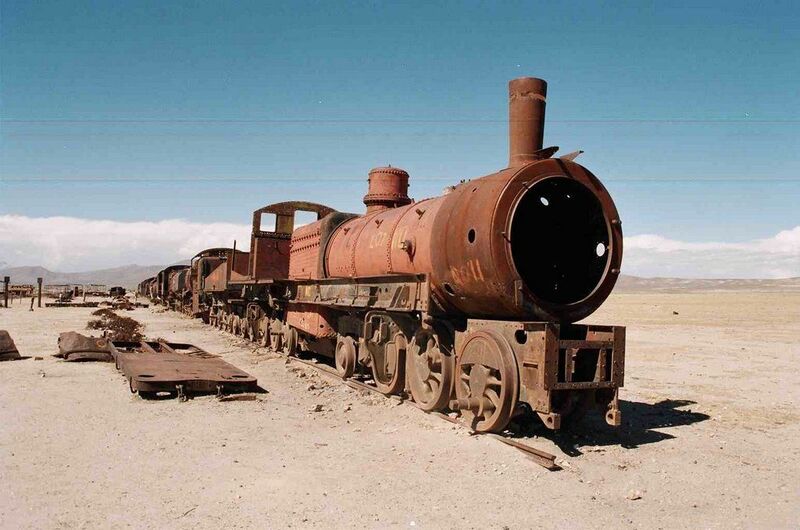 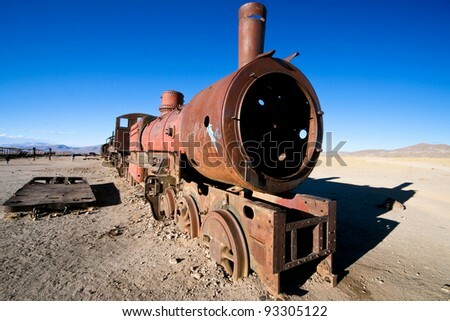 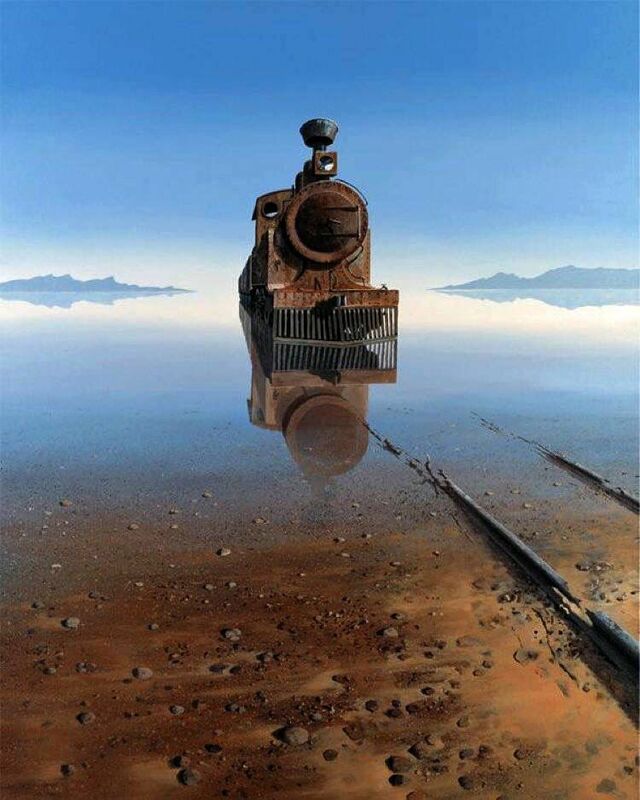 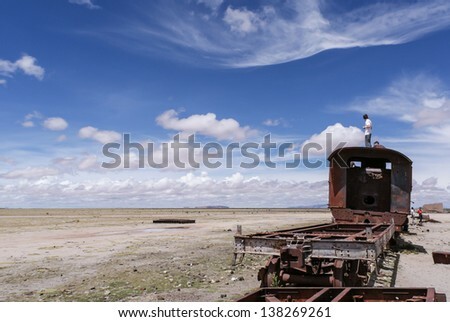 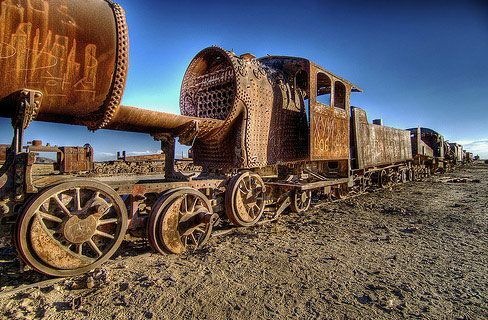 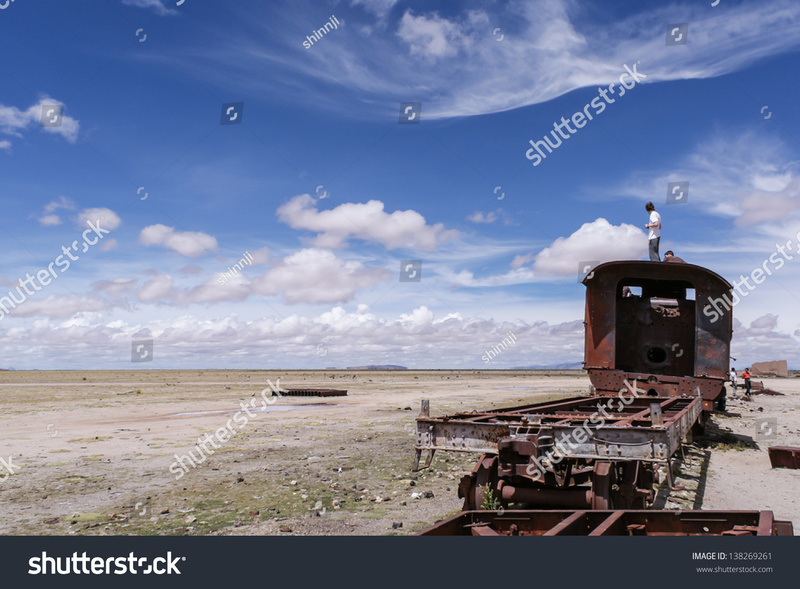 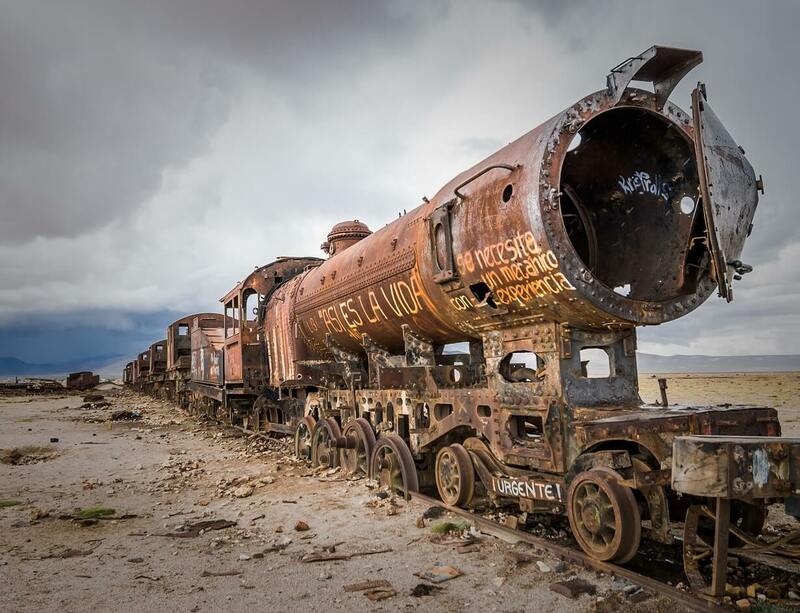 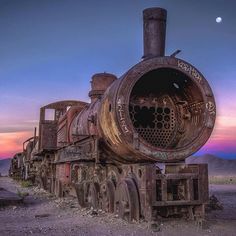 Old rusty train on desert near the town of Uyuni, Bolivia. 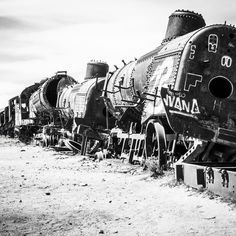 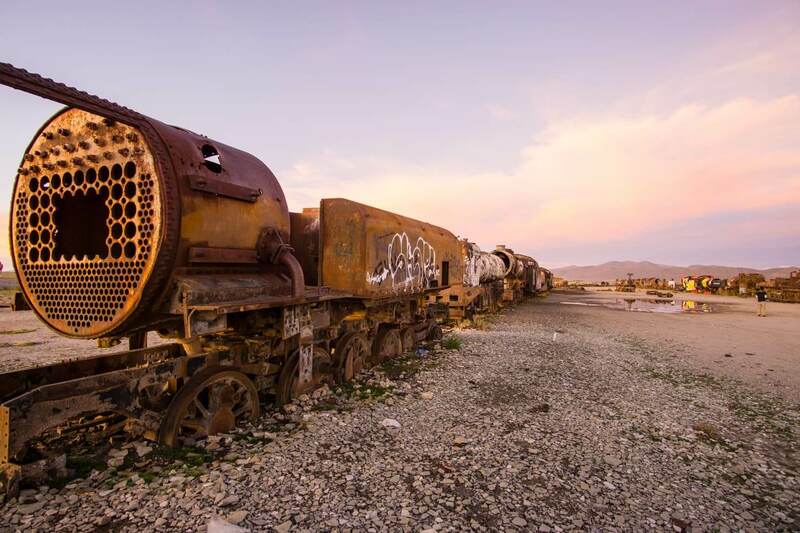 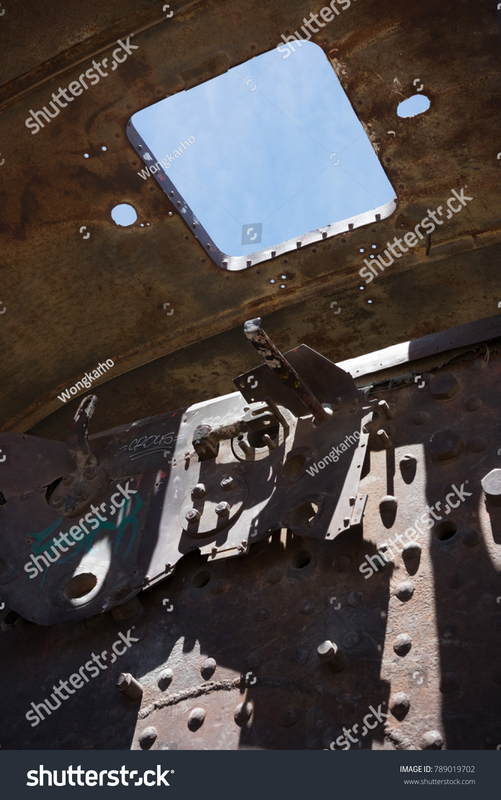 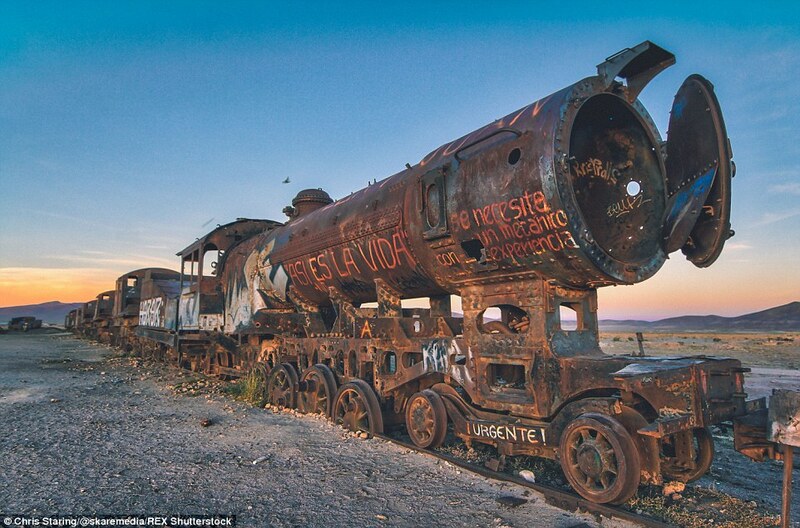 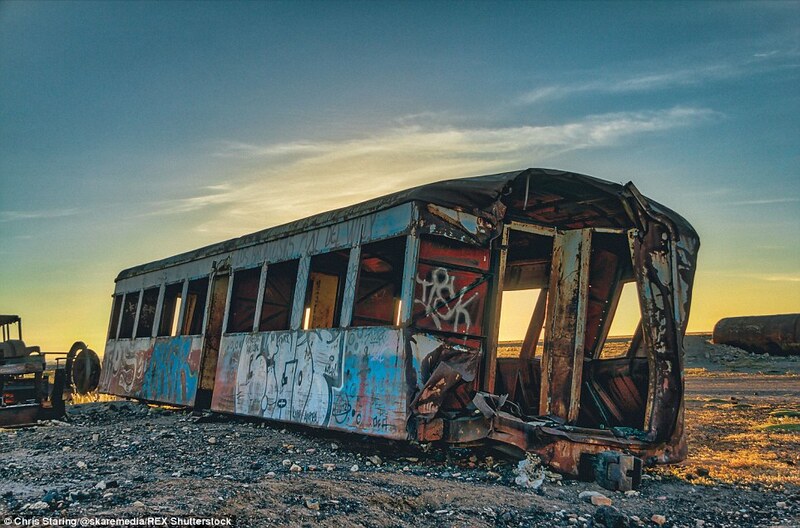 Abandoned train cars, train cemetery or junkyard, uyuni, bolivia. 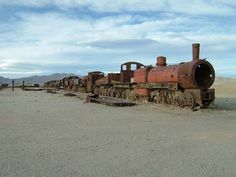 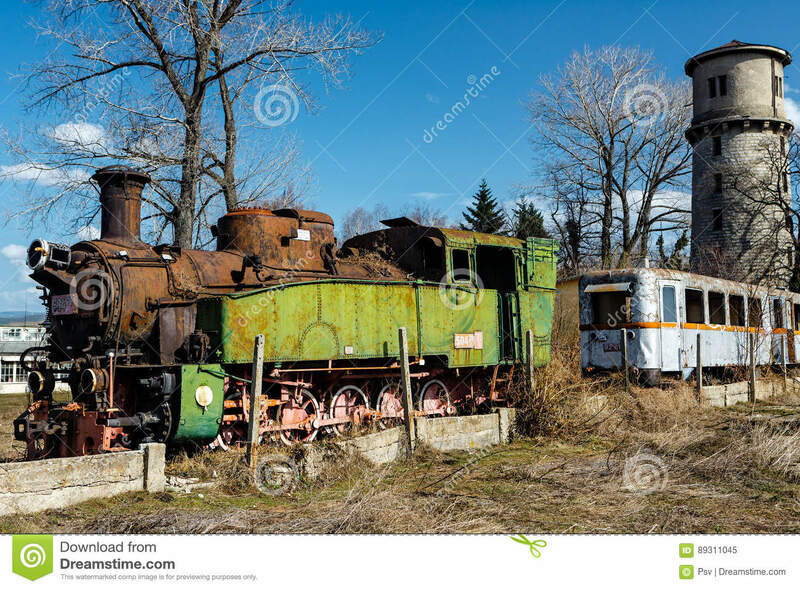 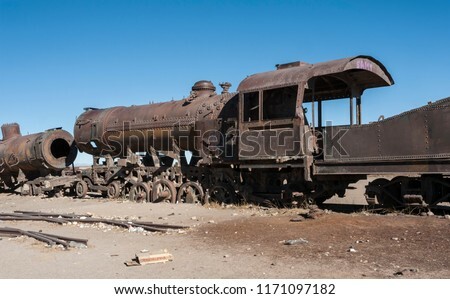 Another major tourist attraction is an antique train cemetery. 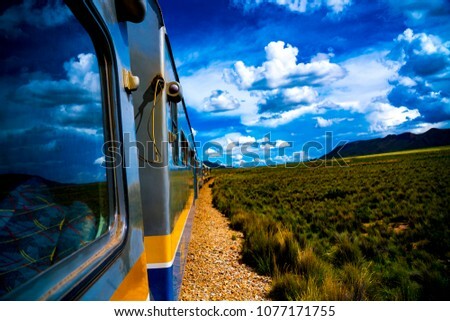 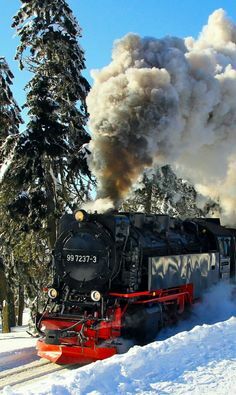 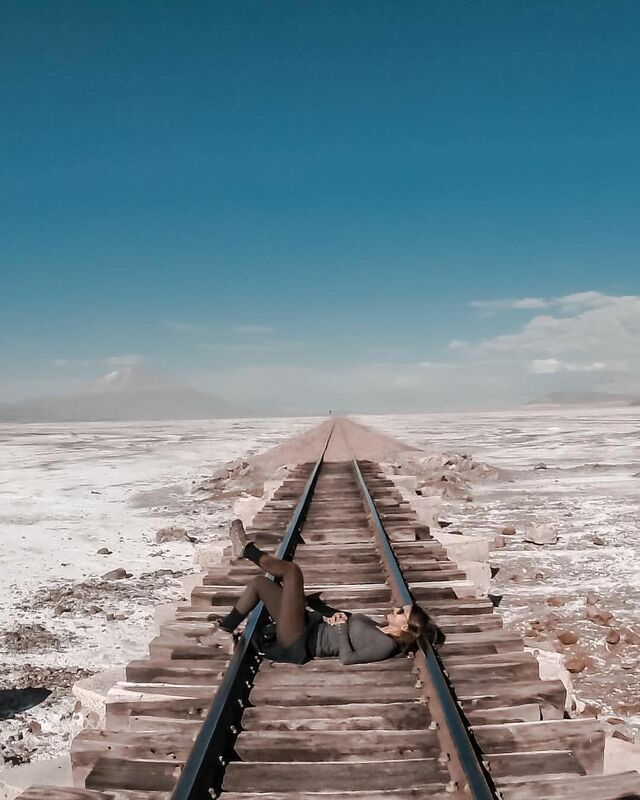 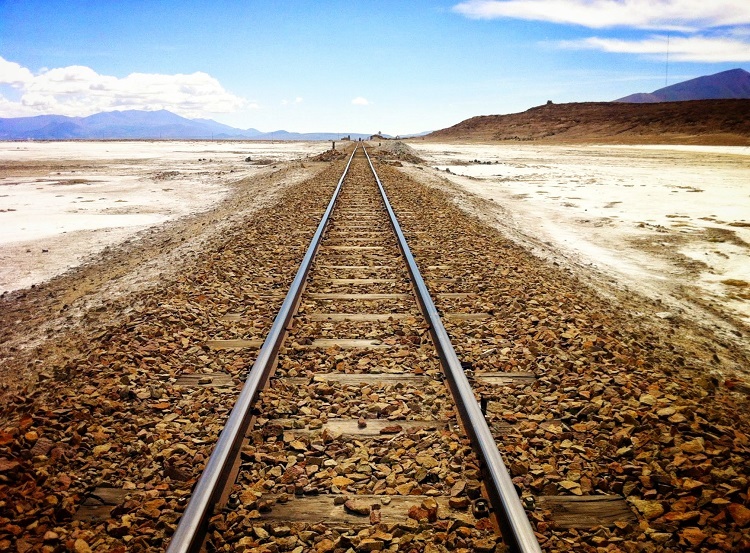 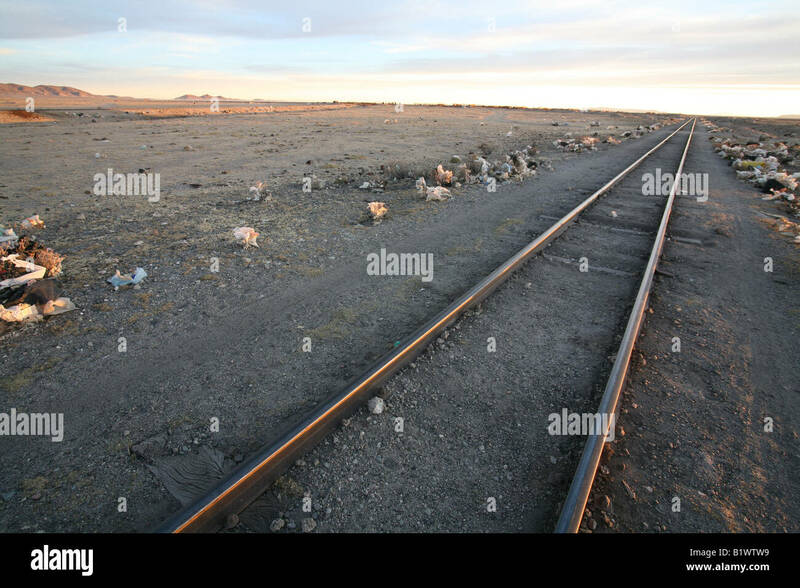 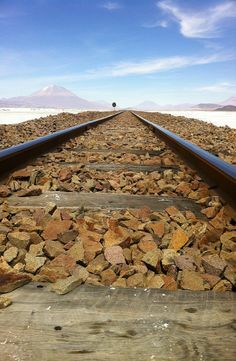 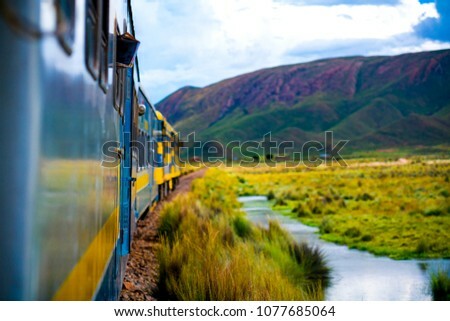 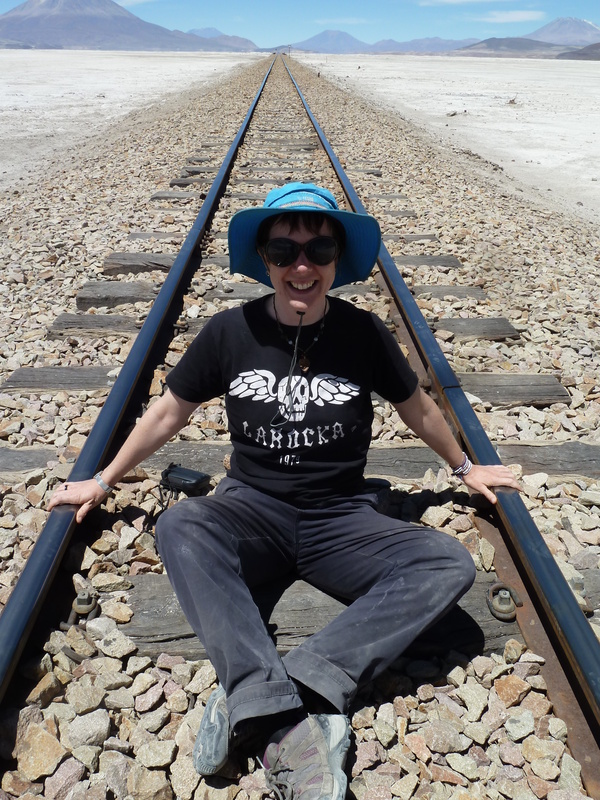 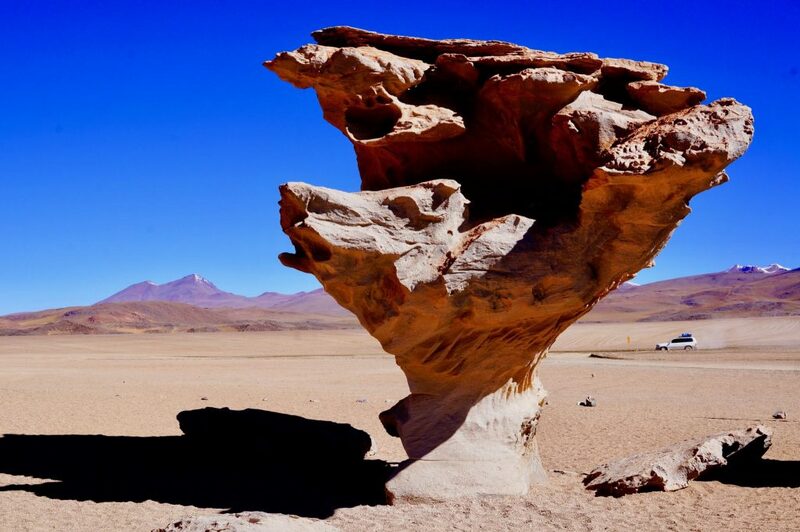 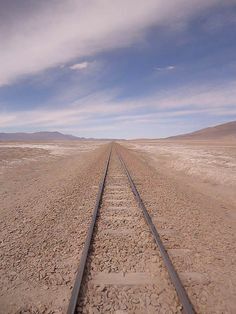 It is 3 kilometers outside Uyuni and is connected to it by the old train tracks. 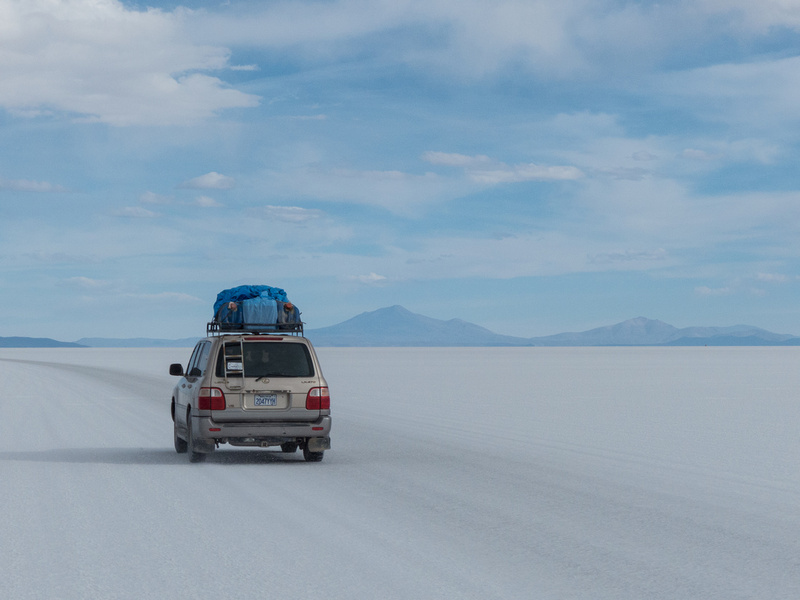 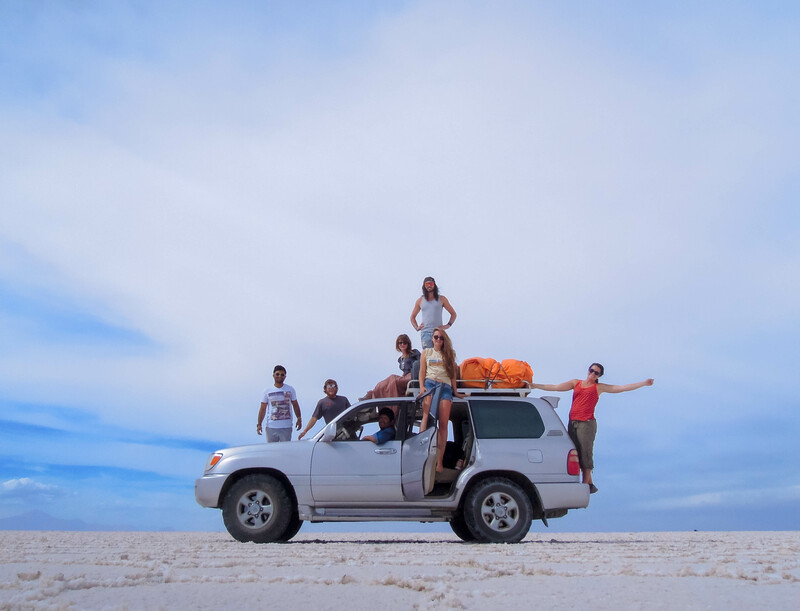 After leaving the dusty city of Uyuni behind, we were off on our adventure. 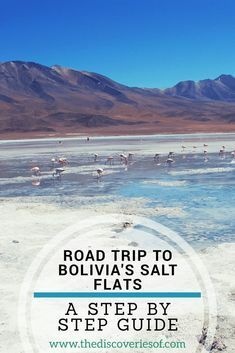 There was no set itinerary so this really added to the surprises ahead. 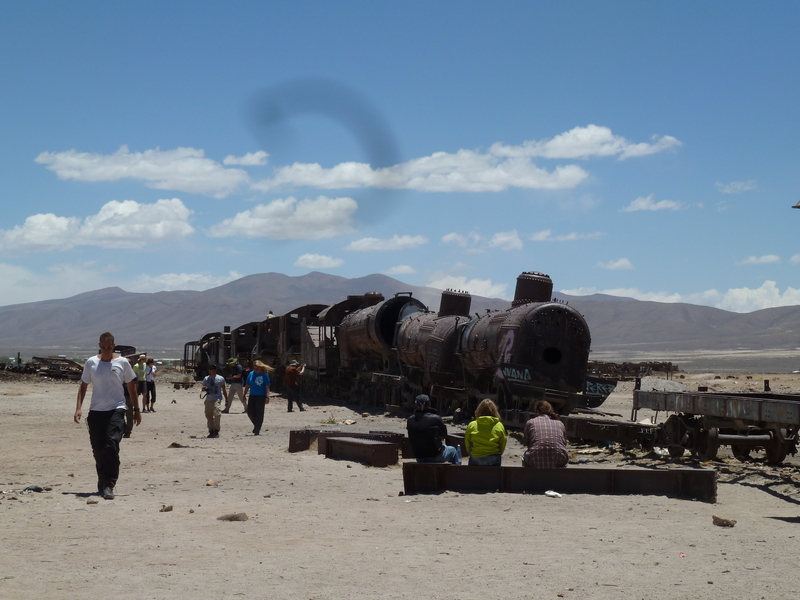 Train Graveyard near Salar de Uyuni (Salt Flats) of Bolivia. 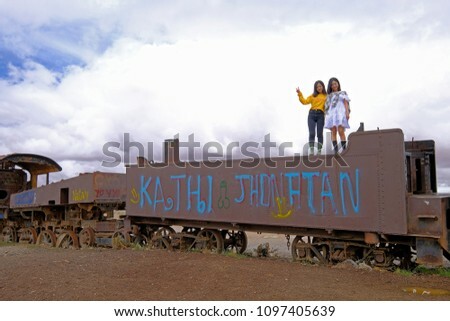 This is a popular spot for tourists, and you can get creative here by taking all sorts of photographs by climbing all over the trains! 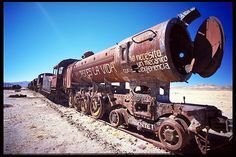 This bad boy took us miles and miles through nowhere! 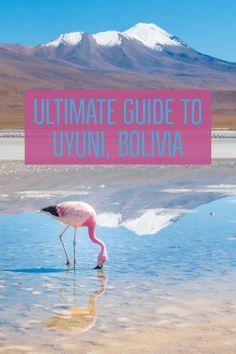 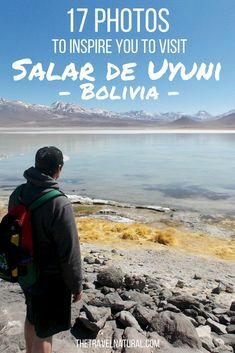 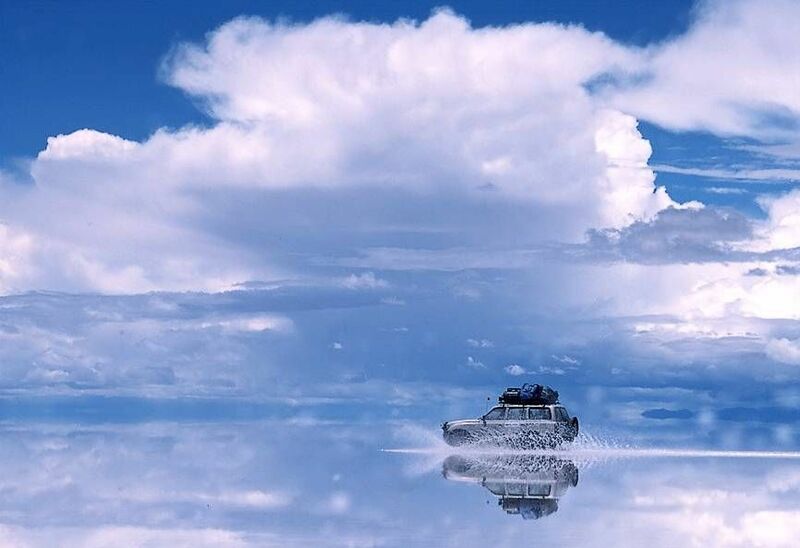 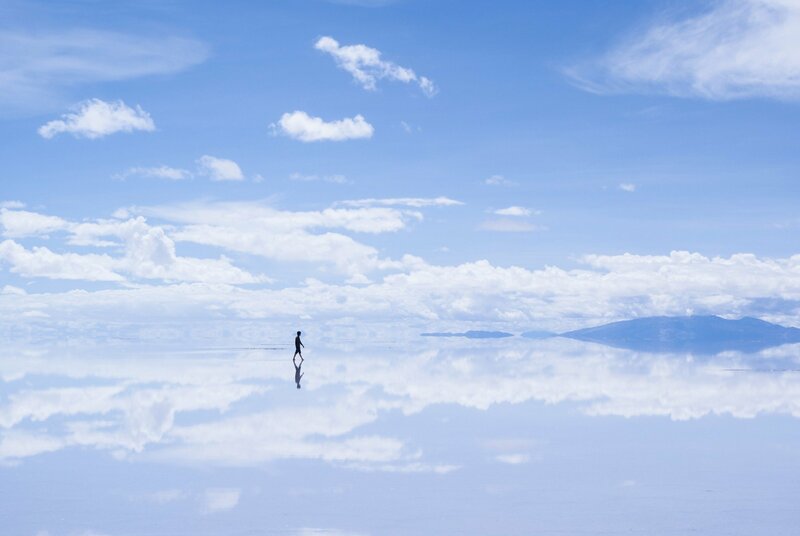 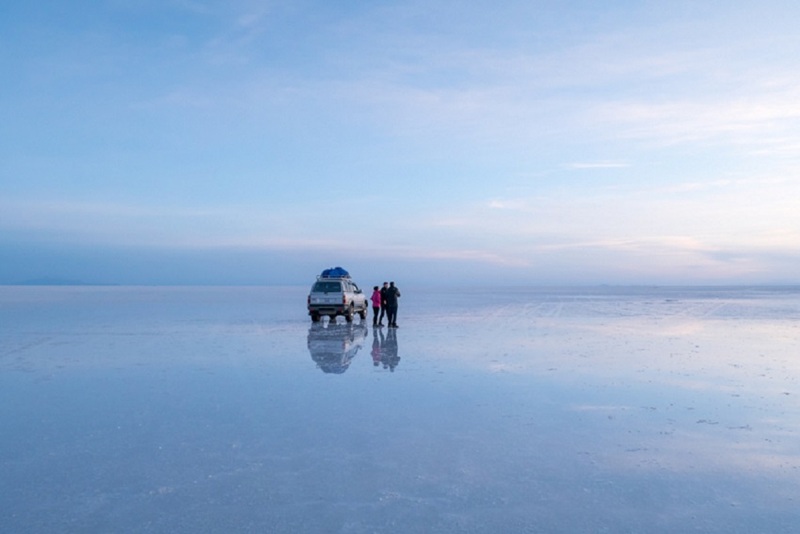 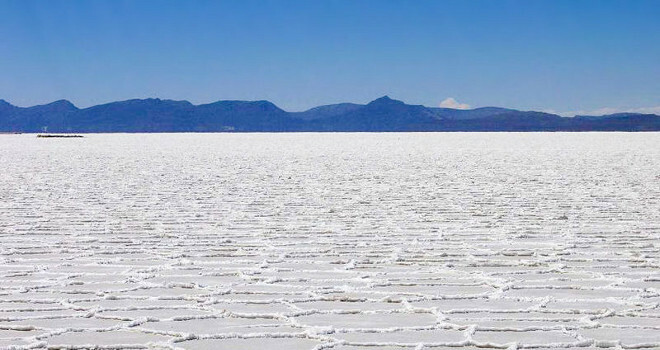 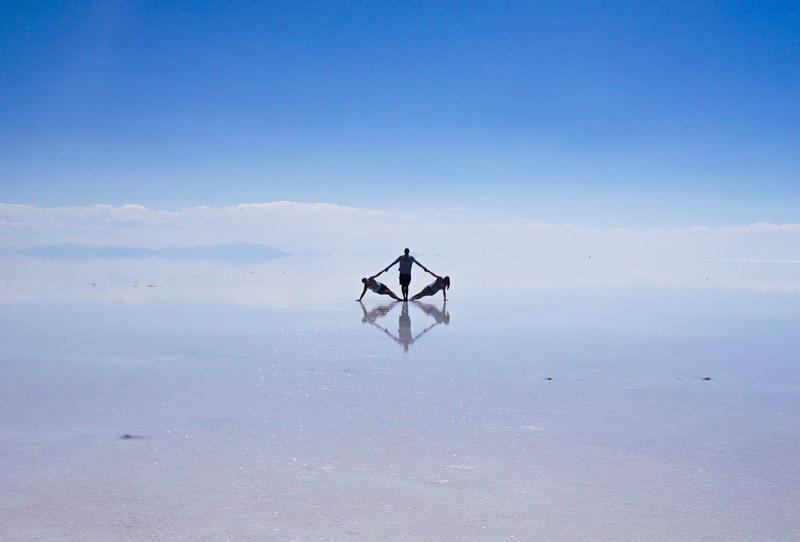 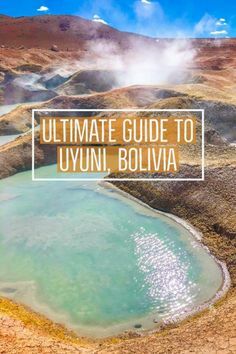 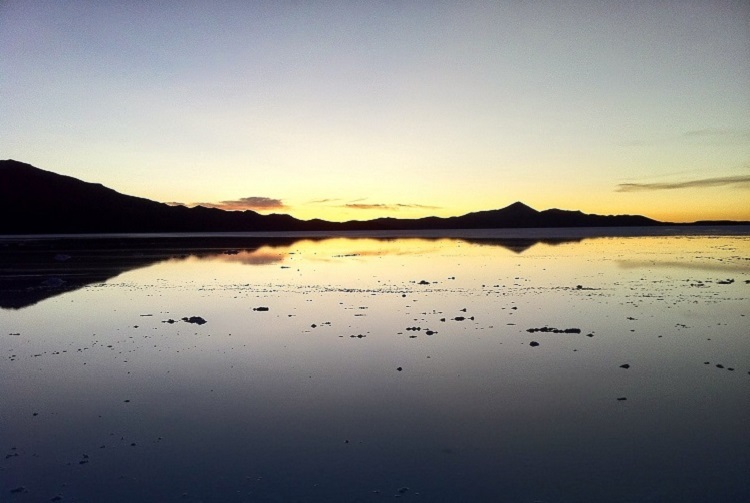 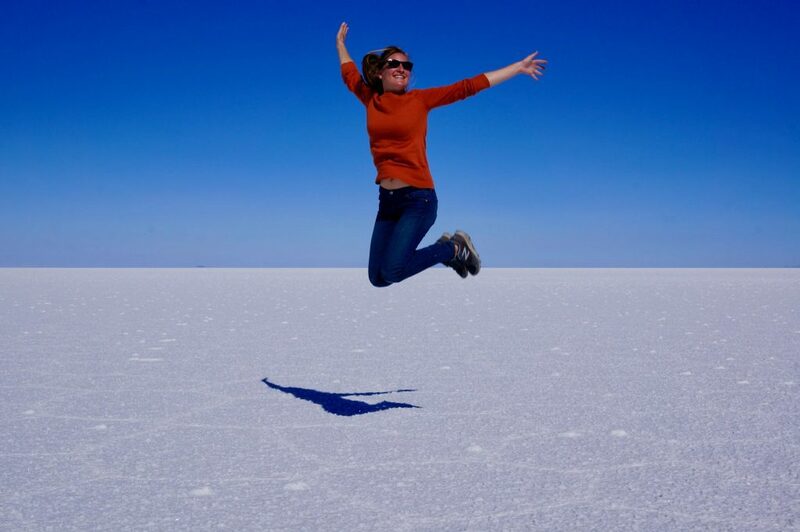 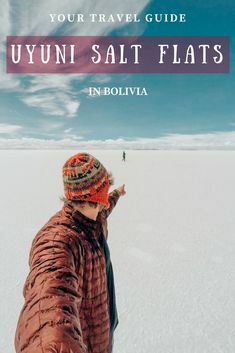 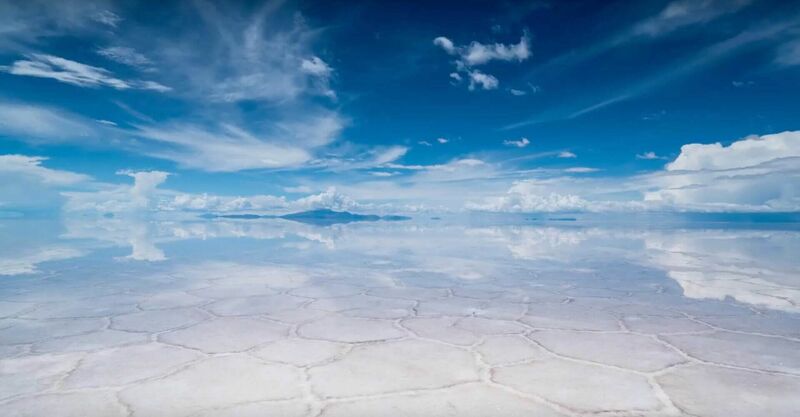 Bolivian Salt Flats | Salar de Uyuni, Bolivia: a Tour of the World's Largest Salt Lake . 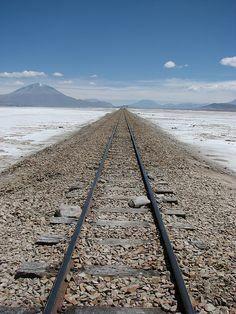 Near the town of Uyuni, Bolivia.